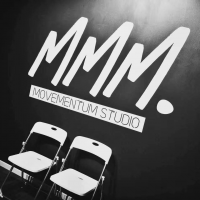 MMM (MoveMentuM Studio) is the first Chinese pop dance Studio in New Zealand, which was founded in March 2017 by Ace Crew led by Bingci (Grace) XUAN, a well-known dancer in Auckland. The studio mainly focuses on teaching, commercial performance, dance company operation and promotion of popular dance culture etc. Currently we are seeking an energetic and experienced dance teacher to join our fast-growing team. If this sounds like you, please click APPLY button below and send your CV and cover letter to us. Original generation time 0.2539 seconds. Original generation time 1.4132 seconds. Cache Loaded in: 0.0009 seconds.